It rarely happens, but I’m actually quite relieved that the surf is pretty average today. I’m surfed out and tired and in urgent need for a rest. Waves have been pretty good all week. You just gotta love autumn in Australia. Yes, it’s getting a bit chilly and most of us have dusted off their wetties by now (there are still a few brave ones out there who sport their springy or even boardies). 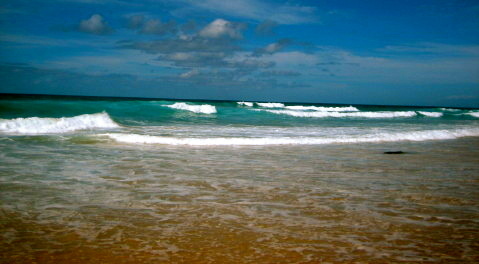 On the upside, the wind is blowing offshore most days, the water is still fairly warm and we get some decent swell in. Another plus, the early morning crowds seem to dissipate as well with most of the tourists gone by now. The weekends are still busy in Bondi though and the banks have seen better days, so we’ve packed the car Saturday and headed South to the National Park. I love that drive through the National Park. It always makes it worth the trip down there. We were really stoked when we were greeted by 2-3ft peaky waves and offshore winds. It was quite good to start with, then it got a bit funny and we almost headed in but then it got really good and we all had such a ball. It was so much fun. The waves had a great shape to them and it seemed to get a bit bigger with the incoming tide. Two and half hours later, I was high on the buzz of an amazing surf but at the same time, totally surfed out. 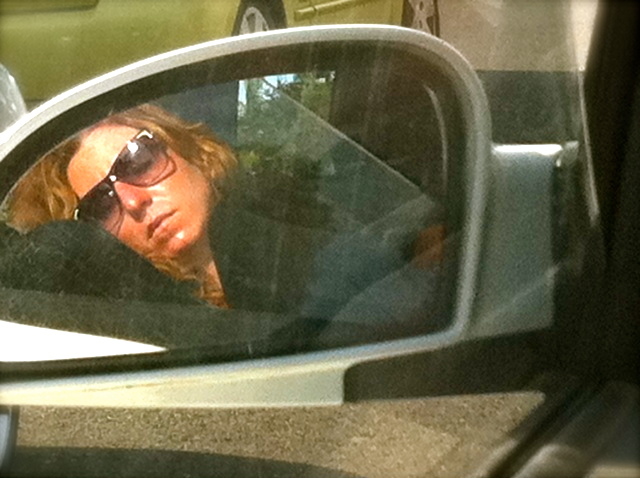 So surfed out I fell asleep as soon as I got into the car and snoozed all the way back to Sydney. Lucky, I was not driving. The surf in Bondi looked quite good too by the time we got back into the hood. I was way too tired to go in for a second session. Sunday, early morning looked like fun too. The only problem was it was low tide and even though only a couple of ft, closing out. From about 8.00, the Southerly hit and made a mess of the water surface. A great excuse not to surf and have a day off surfing. Tomorrow, Monday, looks like a bit of a no-go too at this stage. 20 knots onshore winds and 6ft. Does not sound too appealing to me. From Tuesday onwards, wind and swell should drop a bit and make for a good surf.